Ever since we humans learned how to domesticate animals, our mutual bond has been constantly developing into an unbreakable one. Today, our pets are an important part of our lives, enriching it and making it even more purposeful. While we give them food and shelter, they give us an endless amount of love in return. There’s no denying our pets are a genuine part of our family and should come with us wherever we go. But when relocating overseas, there’s a lot of hassle involved in taking our furry friends with us. It’s possible for pet owners to move their buddies on their own, however the process demands considerable effort and involves a lot of stress. Different countries have different regulations concerning animals. Failing to meet even one important requirement, can get your buddy deported back and there might not be anyone to meet him there. For a peace of mind, many pet owners choose to hire help from a professional pet transport service. But you wouldn’t trust just anyone to move your furry friend for 500 meters, let alone across the planet. How can you know which company to choose? For starters, you can check whether they are active members of the International Pet and Animal Transportation Association . This organization is formed with one goal in mind – bring together the most professional, competent and caring pet transportation companies. Only companies that adhere to the animal welfare regulations, after going through a tough selection process, get to be part of it. An IPATA company will also have a comprehensive network of partners around the globe that make sure your pet will be able to reach even the most remote destination. Prior to departure, there are also some important quarantine and airline protocols which need to be fulfilled. 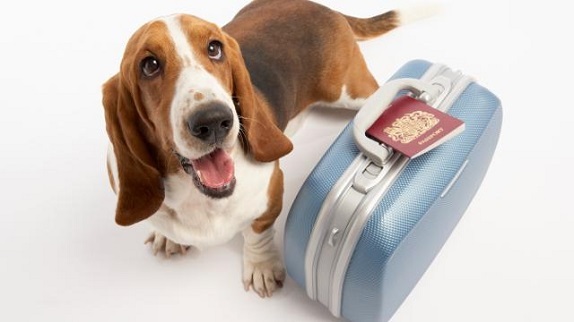 While still in Australia, your pet needs to be checked by a quarantine accredited veterinarian who will make sure all the vaccinations are up to date and provide you with a health certificate required for airline travel. It may also need to undergo a rabies test that confirms the vaccine is actually working. A professional pet transport service will have its own veterinarian which will quickly inspect the health of your pet. And then, there is the travel itself. As human, you know very well how exhausting and stressful a long flight can be. Imagine how this feeling intensifies tenfold for a small and frightened animal. Having to stay confined in a tight crate and secluded in a dark cabin for hours can be emotionally traumatic for your pet. But pet transportation services have comfortable carriers tailored to the size and species of the animal. Moreover, there will be someone that will perform regular checks on the animal to make sure it all goes well. This kind of peace of mind is priceless!